Installing Microsoft Windows Operating System to DigitalOcean’s Droplet is impossible using conventional methods due to the inability to mount an installation ISO and lack of a KVM providing a virtual keyboard (ie. Send Ctrl + Alt + Del, etc.). 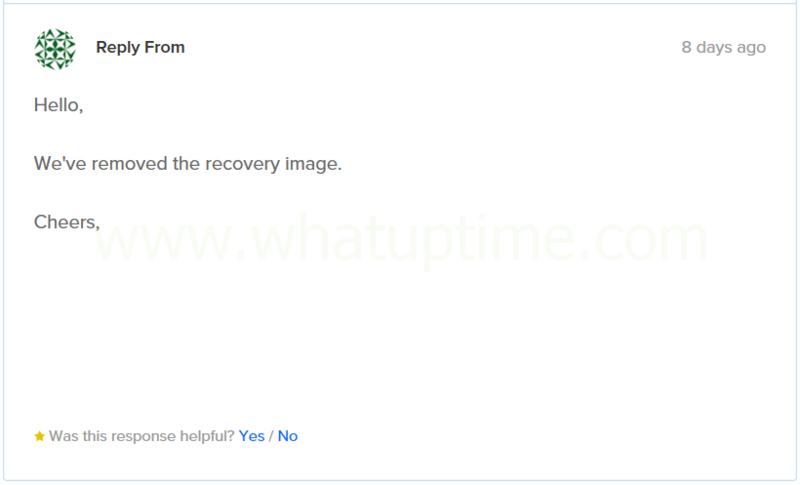 WhatUpTime have built special templates allowing Windows to be installed via DigitalOcean’s Recovery ISO; their Recovery ISO is available with all of their droplets, however you need to request it to be mounted via support ticket. The guide below will walk you through the entire process, from beginning to end. Once you have reached the end of the guide your server will be successfully running Microsoft Windows Operating System. Log In – Log into your DigitalOceans Control Panel. 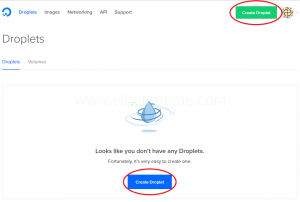 Create Droplet – Once you have logged in, you will need to choose “Create Droplet”. Choose an Image – Ubuntu 16 is recommended, however any Operating System may be chosen. Choose a Size – The template will successfully install to all size Droplets, however depending on your workload you may need a larger size due to CPU & RAM needs. Choose a Datacenter Region – You may choose any location you desire to have your Droplet located. Choose a Hostname – Here you will choose the name for your Droplet. Create – Once you have selected the operating system, size and location for your Droplet you will need to choose “Create” at the bottom of the page. As you may have noticed there were additional options on the Droplet creation page, please ensure to do NOT choose “Backups” or “User Data” as they may interfere with the installation of Microsoft Windows and cause the installation to fail. 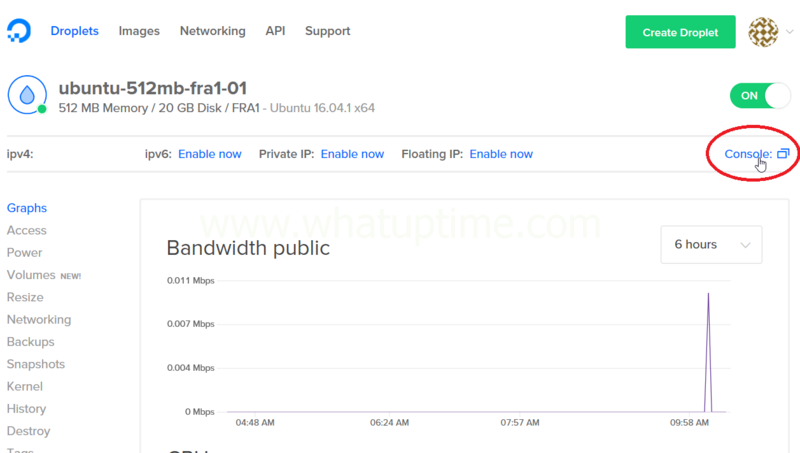 You can certainly enable “IPv6” and “Private Networking”, both should work without issue once Microsoft Windows has been installed. 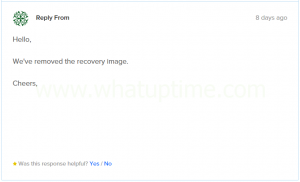 Recovery ISO & Support Ticket – Once your Droplet has been successfully created a support ticket will need to be created to request DigitialOcean’s Recovery ISO be mounted to your Droplet. Locate Support Ticket Creation Page – Choose “Support” at the top of DigitalOcean’s control panel webpage. Support Tickets – Once you are inside DigitalOcean’s “Support Center” you need to choose “Support Tickets” at the top right of the page. Create Ticket – Depending on the age of your account you may need to choose “Create Ticket” (Blue Button) at the top right of the control panel web page. Create New Support Ticket – Once you have arrived on the “New Support Ticket” page inside DigitialOcean’s control panel you will need to fill in the page similar to the following screenshot. Submit Ticket – Once you have completed filling in the Support Ticket Request to be similar to the above screenshot you will need to choose “Submit Ticket” (Blue Button) at the bottom right of the page. Depending on the time of day it may take several hours for DigitalOcean’s Support Team to respond to your Support Ticket. Ticket Response – DigitalOcean’s Support Team will eventually respond to your ticket noting the Recovery ISO has been mounted to your Droplet. 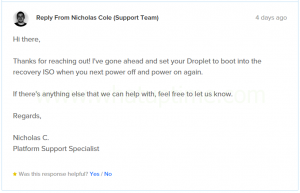 Power Off & Power On Your Droplet – Once the recovery ISO has been mounted for you by DigitalOcean’s Support Team you will need to power your Droplet off and then power it back on all via their web control panel. Choose “Turn Off” – When you have chosen “Off / Switch Off” you will be presented with an warning message providing some good information. I would recommend reading the message thoroughly so you are well informed for the future.When you have read the entire message continue by choosing “Turn Off”. 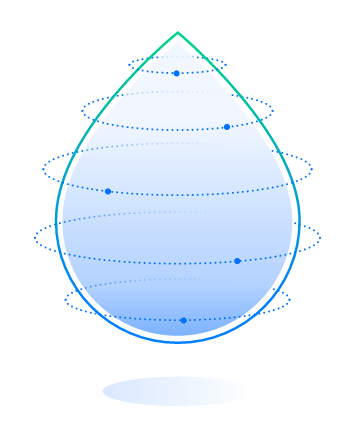 It will take a few moments for your Droplet to completely power off. As with powering off, it will take a few moments for your Droplet to power on. Accessing Your Droplet’s Console – DigitalOcean provides console access for all of their Droplets (It provides similar access to have a monitor, keyboard and mouse attached) which will be used to install Microsoft Windows onto your Droplet. Opening the Console – Choose “Console” at the top, right side of DigitalOcean’s web control panel for your Droplet. A New Browser Windows Opens – Once you have chosen “Console” as detailed above a new browser window will open presenting you with your Droplet’s console. 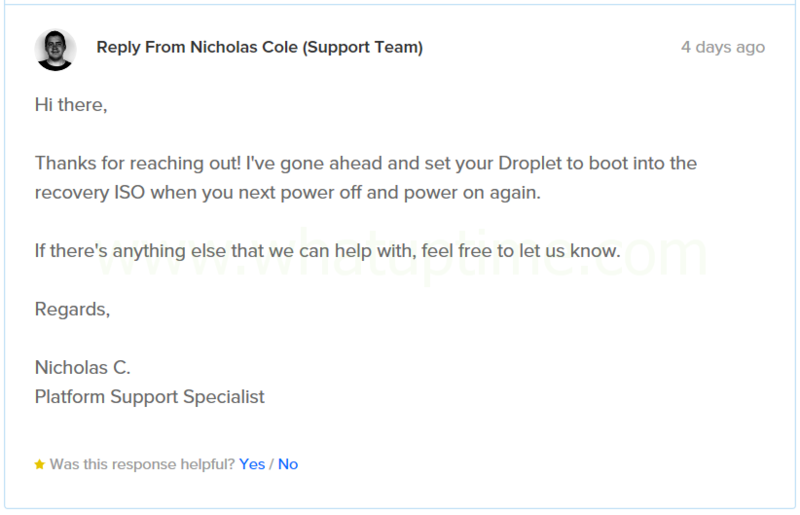 In the event your console windows doesn’t look nearly identical to the above you will want to respond to your Support Ticket requesting assistance from DigitalOcean’s Support Team in regards to booting your Droplet into the recovery ISO. Configure Recovery Network Access – Now that you have successfully accessed your Droplet’s console and confirmed it has successfully booted into the recovery ISO we can begin configuring the networking for the recovery environment.Choose “2” on your keyboard to choose option #2 (“Configure Networking [Not Configured]”) and then choose “Enter” on your keyboard to run the command. 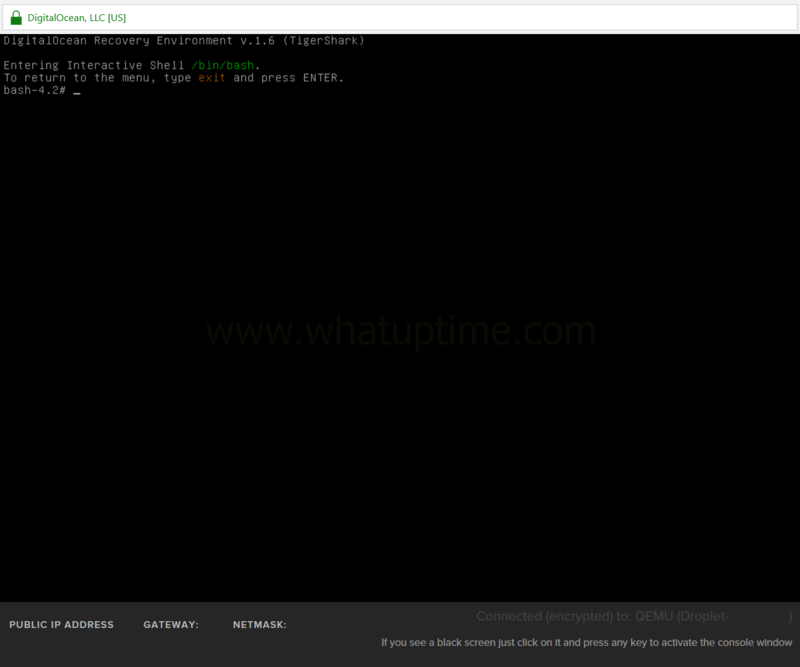 Access Interactive Shell – Your recovery environment now has network access allowing us to continue with the downloading and installation of Microsoft Windows to your Droplet.Choose “7” on your keyboard to choose option #7 (“Interactive Shell [/bin/bash]”) and then choose “Enter” on your keyboard to run the command. Installing Microsoft Windows – To begin the Windows installation you will need to input the following command into your Droplet’s console. Please ensure the command matches perfectly otherwise your installation will likely fail.Choose ONE of the following! Password: P@ssword64Once you have entered the below string of your chosing, you will need to choose “Enter” on your keyboard to begin the installation. The Windows template will be downloaded from a WhatUpTime content mirror and installed automatically to your Droplet. The installation may take several hours depending on your Droplet’s connection to the content mirror. You may need to re-open your Droplet’s console via DigitalOcean’s web control panel as the console automatically disconnects from the Droplet after a period of time when there is no mouse or keyboard input. 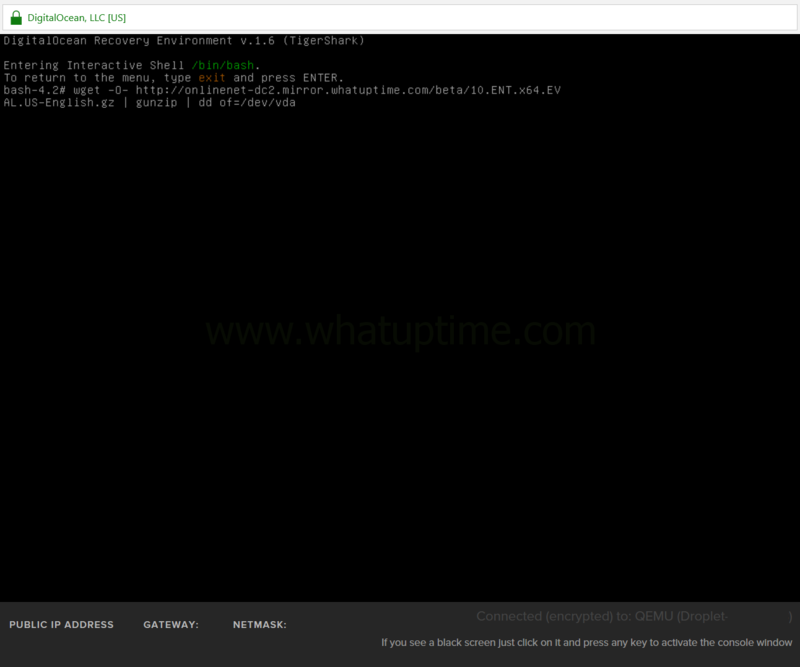 Installation Complete – The installation of Microsoft Windows onto your Droplet will be complete when your Droplet’s console resembles the below screenshot.The important portion of the screenshot to review is the blinking cursor to the right of the “bash-4.2#” prompt which denotes the command you ran to install the template has completed. In the event your Droplet’s console fails to resemble the below screenshot or includes error messages you will need to re-run the command in step #13. 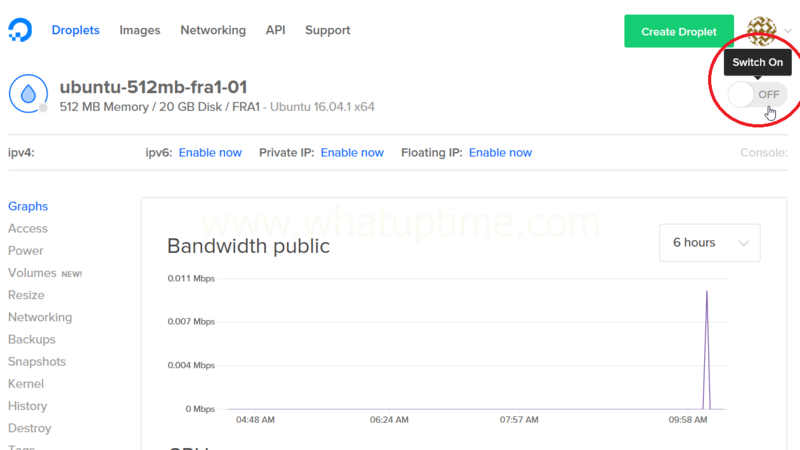 Powering Off Your Droplet – Once you have confirmed the installation of the Microsoft Windows template has completed using the information above you will need to power off your Droplet via DigitalOcean’s web control panel. 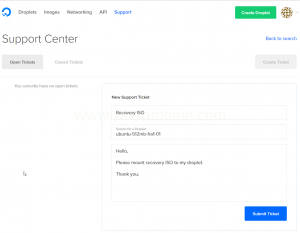 Respond To Your Recovery ISO Support Ticket – When you Droplet has completed powering off you need to respond to your previous recovery ISO ticket requesting DigitalOcean Support Team remove the recovery ISO. 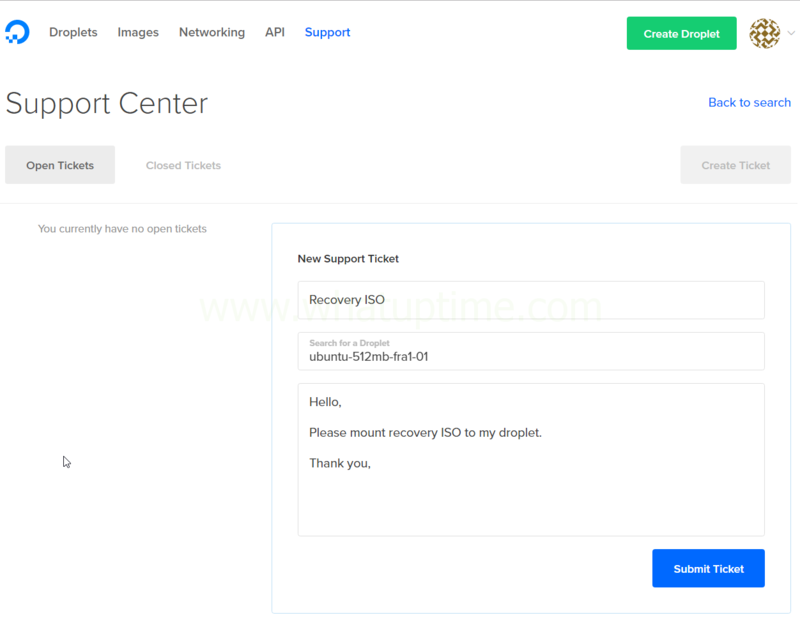 Recovery ISO Removed – Once DigitalOcean’s Support Team has removed the recovery ISO from your Droplet you will be ready to proceed to the next step. Power On (Switch On) Your Droplet – Choose “Switch On” for your Droplet allowing your Droplet to begin starting up and booting into Microsoft Windows. It will take a few minutes for your Droplet to begin booting into Microsoft Windows. Once it begins booting into Microsoft Windows it will take several more minutes before Microsoft Windows is fully booted and you are able to login. Open your Droplets Console – As done in Step #10 you will need to open the console for your Droplet as the next actions you will need to take will be performed via your Droplet’s console. 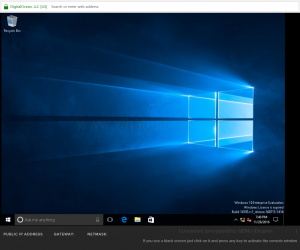 Confirm Microsoft Windows is Running – Once you have launched your Droplet’s console you should be presented with either Microsoft Windows booted or Microsoft Windows login screen (It will depend on how long it took Microsoft Windows to fully boot). Depending on the version of Microsoft Windows you chose to install to your Droplet your console may not match the following screenshot perfectly, however it should closely resemble it. Logging into Microsoft Windows – Once you have confirmed your Droplet has completed booting into Microsoft Windows you will be ready to proceed logging into Microsoft Windows using the username & password provided in Step #13 above. Depending on the version of Microsoft Windows installed onto your Droplet you may find the login form is hidden when you first open your Droplet’s console. In order to reveal the login form you will need to perform the following. 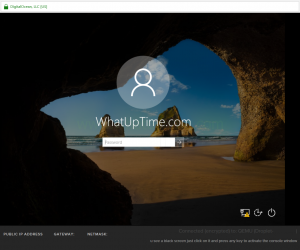 Successfully Logged Into Microsoft Windows – Once you have entered the username, password and chosen “Enter” on your keyboard you should be successfully logged into Microsoft Windows on your Droplet. You may locate your Droplet’s Public IP Address, Subnet Mask & Gateway at the very bottom of your Droplet’s console window. In addition to configuring the Public IP Address, Subnet Mask & Gateway you will also need to configure DNS servers. We have provided the following DNS server IP addresses for your convenience, however you may use any DNS servers you desire. 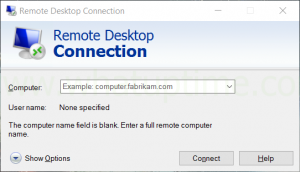 Microsoft Windows Remote Desktop – Once you have completed manually configuring the IP Address(es) for your Droplet you will be able to log into your Droplet directly using Microsoft Remote Desktop. 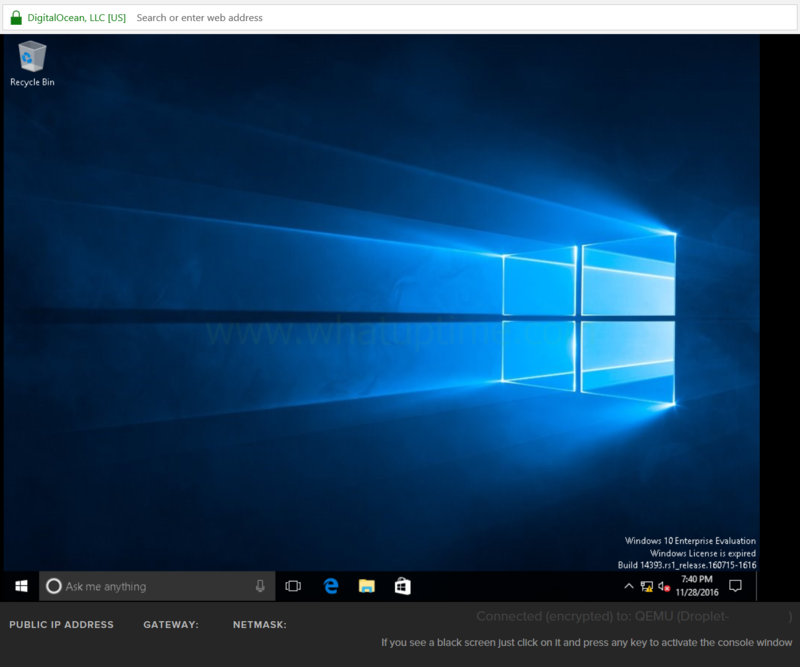 In the event you unfamiliar with Windows Remote Desktop it is recommended you review Microsoft’s article here on how to use the remote desktop client built into Windows. Alternatively you may wish to use Windows Remote Desktop Connection Manager, you can download it for free here. Congratulations! You have successfully installed Microsoft Windows to your DigitalOcean’s Droplet and accessed it via Microsoft Windows Remote Desktop! You should consider completing the follow to avoid potential issues in the future. Change the password for the “Administrator” account, a guide on how to change a password in Microsoft Windows Server 2016 Datacenter Evaluation x64 can be found here. Expand your C:\ Partition – When you install our Microsoft Windows template it will by default only use ~15GB of your hard drive. Using “Disk Management” inside Microsoft Windows you can expand your C:\ partition to include your entire drive. Installing missing Microsoft Windows drivers using SDI, you can download it for free here.